A worthy starter guitar in your choice of five finishes. A marvel for its price, the RA-100D's traditional dreadnought design makes for one very playable guitar with a great, full tone. Perfect for strumming or fingerpicking any style of music, it's no wonder this guitar has been so highly rated by our customers. 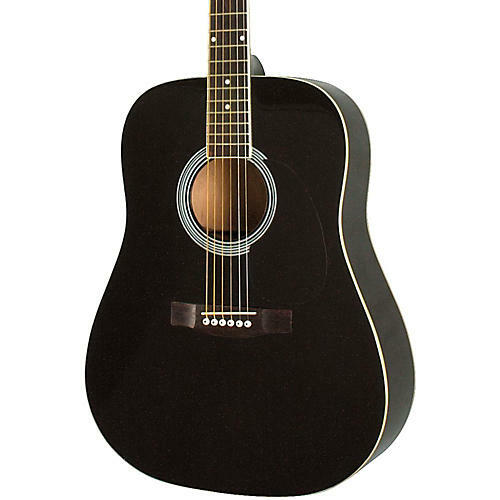 Features a genuine spruce top, die-cast tuning machines, 25-1/2" scale nato neck, and bound rosewood fretboard. It's easy to tune and stays that way. Rich, resonant sound and excellent projection and intonation make the RA-100D a first guitar to be proud of. It's also great for camping or as a second guitar. Each guitar ships with genuine Martin strings for a quality sound right out of the box.